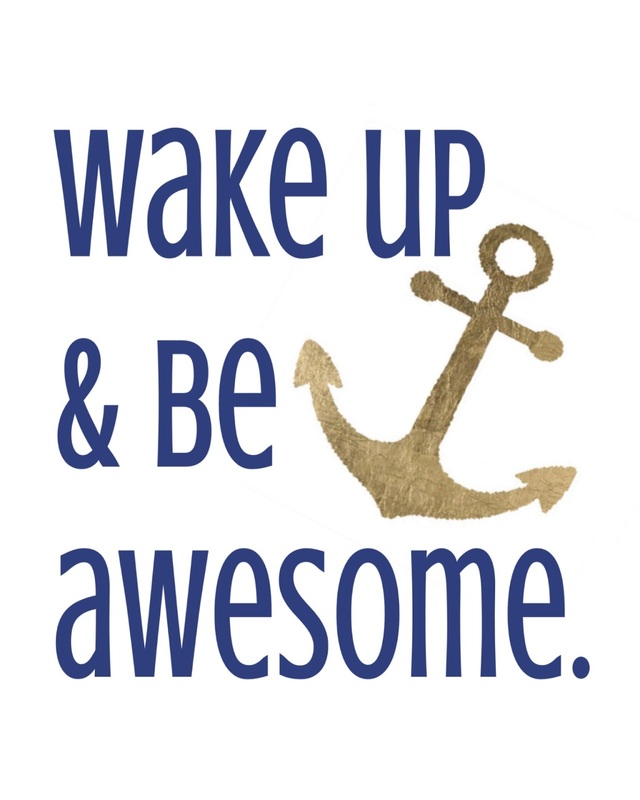 Ansley Designs: "Wake Up & Be Awesome" Anchor Wall Art - Free Printable! 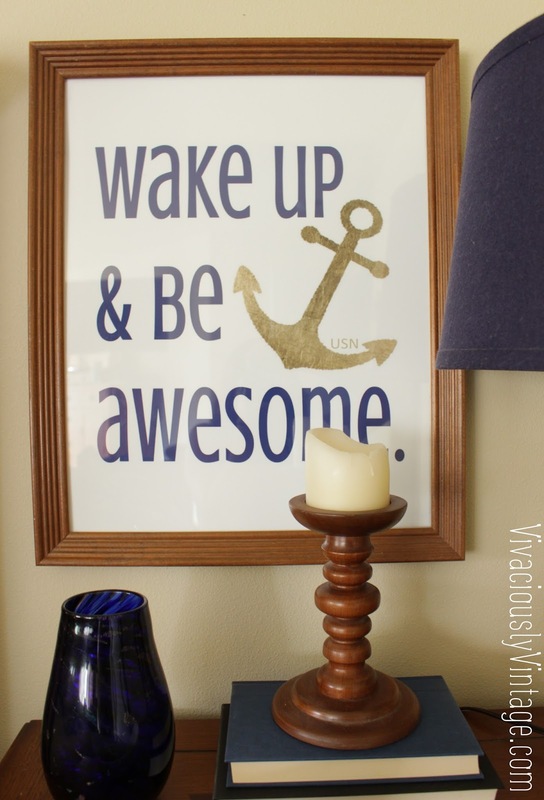 "Wake Up & Be Awesome" Anchor Wall Art - Free Printable! I made this sweet picture back in September. You see, it was our 4th anniversary. However, it was the first one we ever spent together. Because of that, I'd never really gotten him an anniversary present. There's not much gift wise that you can send to a man stuck in a little bunk on an aircraft carrier. So, I decided to give him one of the "traditional" gifts for each year we spent apart. This is the one that counted for our first anniversary, which traditionally one gives something paper. 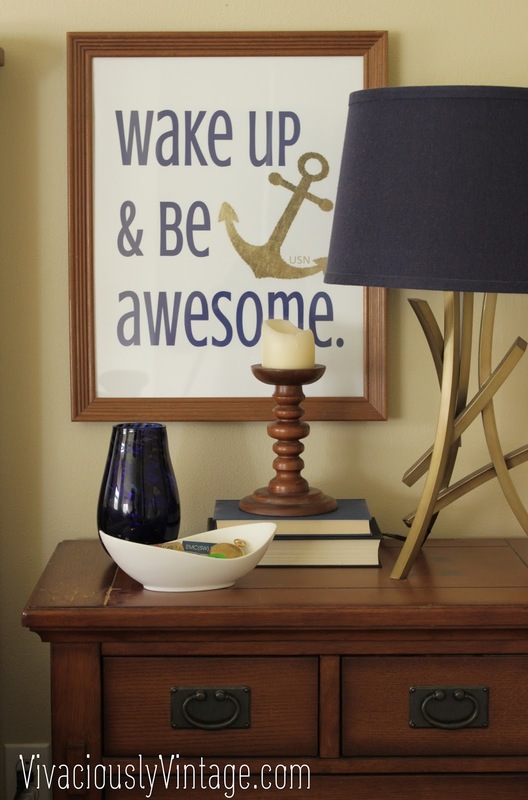 I had this idea filed away in my head forever after seeing some wall art with this saying on it gracing Pinterest. 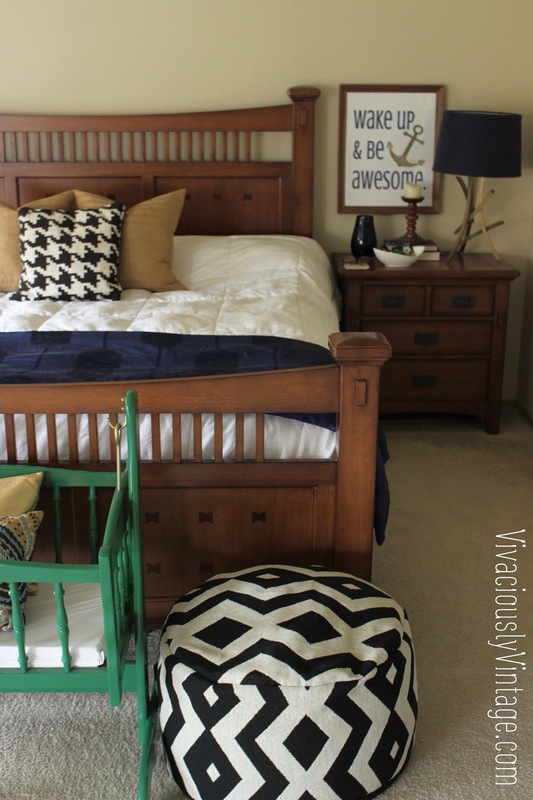 It's something cool and not girly for the man's side of the bed. 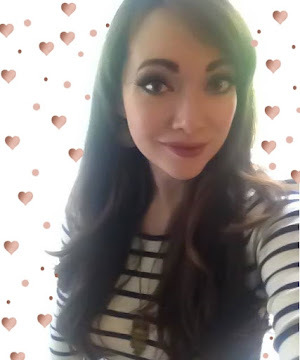 It was just a matter of selecting the font and images I wanted, then putting it together in Paint.net (that's the free imitation photoshop that I use for all of my editing). The font I used is called crushed. It's one of my favorite fonts! I believe it's one of the fonts that comes automatically with the Paint.net download. I pirated the anchor like I do most of my graphics. I know, I know... *spank*. I just search for whatever I'm interested, click on "images" and browse until I find what I like. I also added USN in very small lettering next to the anchor. It just makes it a bit more personal for him. After I had it all tweaked and spaced the way I liked, I just uploaded it to Walgreen's website and had them print it for me. I believe the size is 11x14. I already had the frame from of my endless trips to Goodwill. Naturally this went on his side of the bed, and I put a similarly sized mirror on my side of the bed. 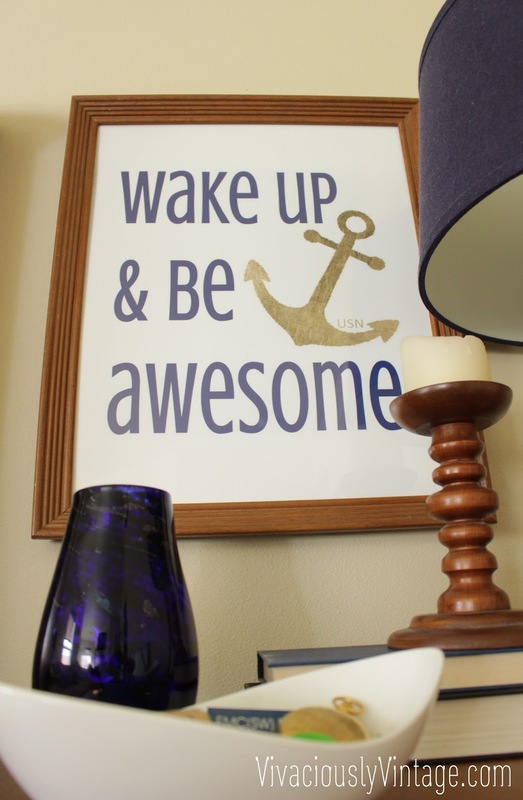 He made the comment that we both have art that says "Wake up & be Awesome". Haha, I guess that was a compliment! 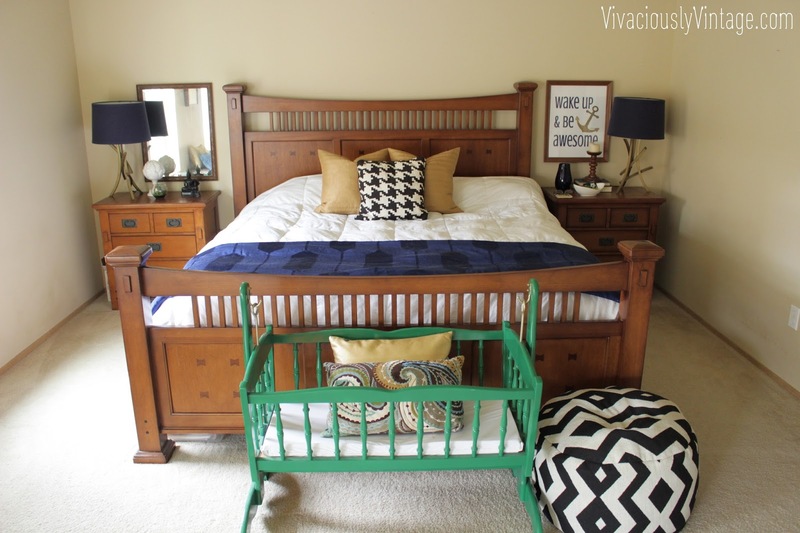 Sweet little is way too big for that emerald green cradle, but it hasn't left our room yet. It's really handy for laundry that is waiting to be folded! I love this piece! As a gift it's thoughtful and motivating, as decor it's affordable and fun! It cost me less than $10 to make! I seriously make most of my art this way! 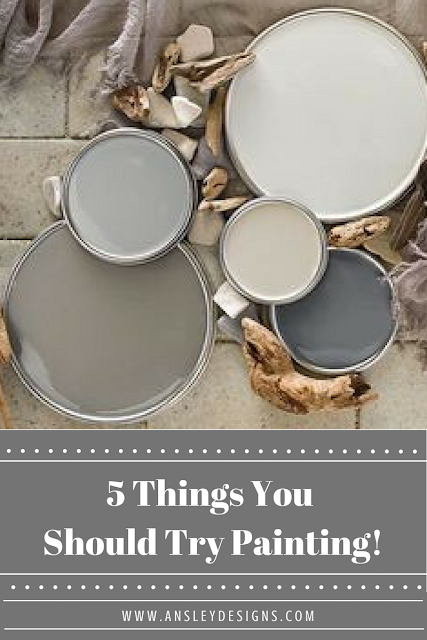 I DIY it, find an image and print it, or use my silhouette machine to cut something out. You can see more examples on Reagan's gold frame gallery wall.